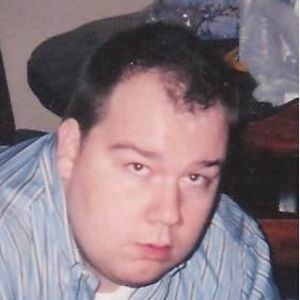 POWDERLY - Christopher Alton Lear, 32, of Powderly, passed away on Sunday, December 20, 2015, at 6:10AM at his home. Mr. Lear was born June 16, 1983, in Muhlenberg County. He was a sheet rock worker and of the Baptist faith. He was preceded in death by his grandfather, George Alton Lear; grandmother Betty Faye Lear; grandfather James Russell Jones; and uncle George Wayne Lear. He is survived by his mother, Verna Lear of South Carrollton; aunt Donna Vaught of Powderly; cousins Matthew Vaught, Andy Winn, Audreya Winn, and Wendy Lear; and great-aunt Lois Groves of Island. Funeral services will be Saturday, December 26, 2015, at 3:30PM at Tucker Funeral Home in Central City. Visitation will be Saturday at 12:00 noon at the funeral home. Online condolences may be made at www.tuckerfuneralhomes.com. The beautiful and interactive Eternal Tribute tells Christopher's life story the way it deserves to be told in words, pictures and video. I am so sorry for you loss. My deepest condolences for you and your family. I am at a loss for words during this sorrowful time, but please know that I am thinking of you and praying for peace and comfort for you and your family. Our live and prayers are with you and all the family. Praying and thinking about you! Mrs. Verna! I'm so sorry to hear. I will be thinking and prayin for you. Chris you were one hell of a guy and you will be missed dearly. You were a good friend to me anytime I needed you. Rest in peace sweet angel. Gone but never forgotten. Verna I am sorry for your loss . I will keep you in my prayers .